Josh Cooley, a story artist at Pixar Animation Studios decided to put together a parody Little Golden Book “Movies R Fun”. It is currently being printed, and according to his blog will be available in November. It will contain all of his innapropriate golden book drawings. Damn that guy can draw! 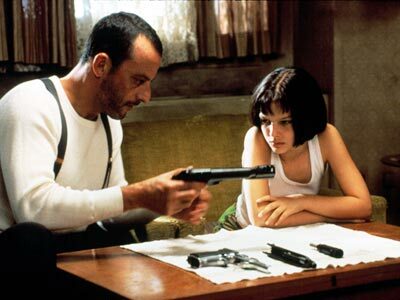 For those that are unfamiliar with the movie Leon: The Professional… it’s a classic, and a must see for any gun/movie enthusiast. It is also known for being Natalie Portman’s first real movie, and basically started her entire career. <– I was able to find a screen capture of the exact scene from the movie that is depicted in the above parody. Makes me wonder if I would be able to come up with a similar drawing by tracing in adobe illustrator if I still had my tablet PC. Awesome indeed, one of my favourite movies ever! One of my favs as well. Absolute perfection from Jean Reno and Gary Oldman. 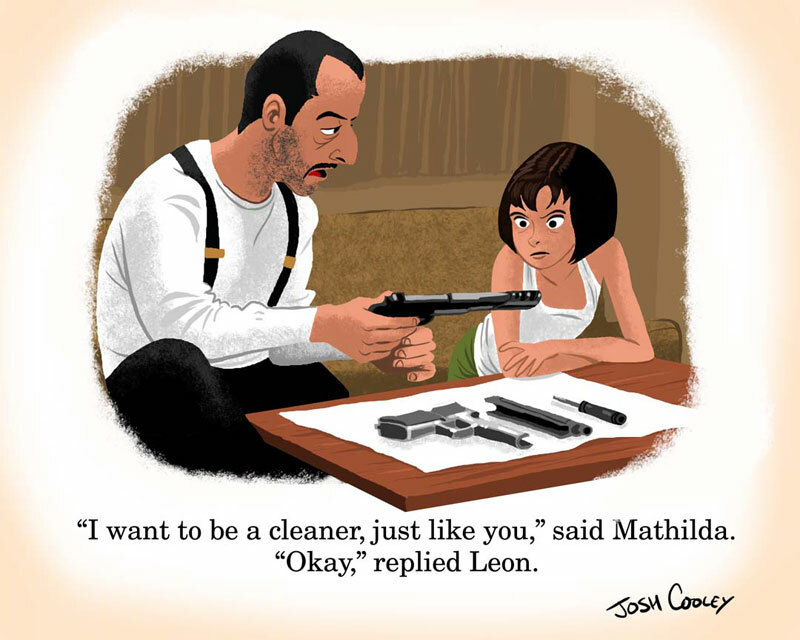 There was talk of a sequel with Mathilda following in Leon’s footsteps, but i believe both Luc Besson and Natalie Portman declined…. Thanks for recommending that, I rented it last night and it was definitely a great movie.